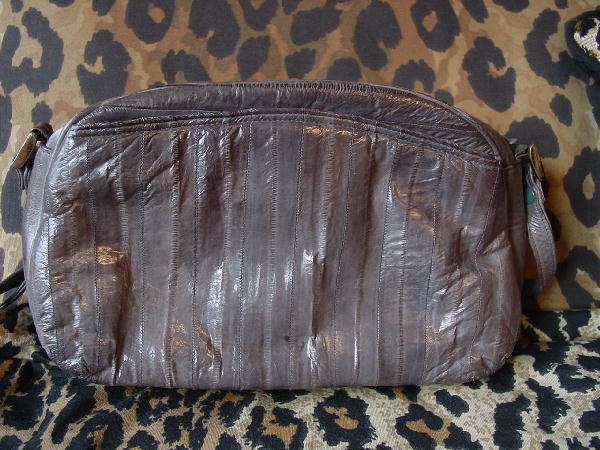 This vintage dark gray eelskin purse has front and back outer compartments with magnetic snap closures. It has a top side to side dark gray zipper opening. 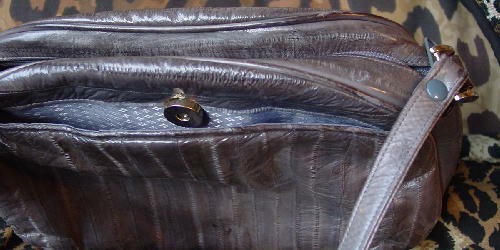 The center interior has a roomy zipper compartment. 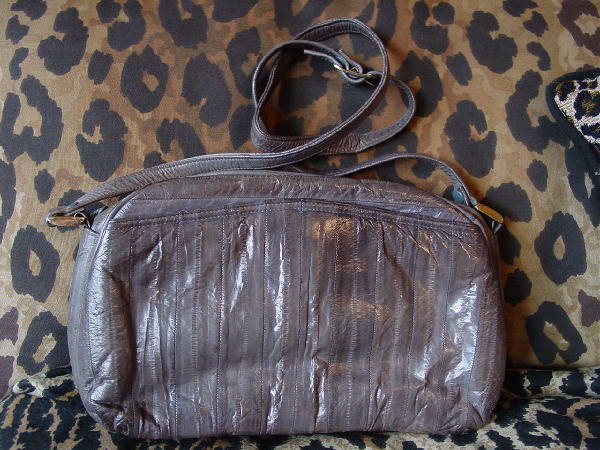 All of the linings, interior and exterior, are in a shiny medium steel gray fabric with tone-on-tone diamond shapes. It has a 35 1/2" adjustable three hole eelskin shoulder strap with a gold-tone buckle and rectangular strap attachments. The soft eelskin is in a vertical strip pattern.